When MBAs are looking for jobs right after graduation, there’s plenty to consider. How’s the weather in the area? Do you have to consider your significant other’s career? Or maybe (probably) most importantly, is there even a job you’d like in your target city? We took our compensation data and combined that with a cost of living calculator to rank the most popular cities for MBAs after graduation – and how much it costs to live in each. All work related data is from our database, and we used CNN’s cost of living calculator, along with Mental Floss’ cost of one bedroom apartments article to calculate rent. New York Compensation in (City): As the most expensive city, New York (Manhattan) is our baseline for all of these numbers. We took our median total compensation from MBAs in our database working in New York, and used the cost of living calculator to determine a comparable salary necessary to live a similar lifestyle in other major cities. For example, New York’s median MBA compensation of $157k would take you as far as $82k would in Chicago. Maybe it’s time to move? (City) compensation in New York: Conversely, we also took our median total compensation data from major cities and put that through the calculator to determine how much money you’d need to live a comparable lifestyle in New York. Seattle’s median total compensation of $180k suggests you’d need $294k to live the same way in New York. This actually suggests that Seattle is the best city for MBAs, as its higher total compensation combined with lower cost of living relative to New York yields the most effective compensation for MBAs. Now onto the list. The financial capital of the world, New York (Manhattan) is the most expensive city in the US. Living in New York gives you access to some of the greatest museums and restaurants in the world, all through its strong public transportation system. 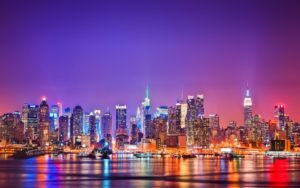 Common complaints of living in New York include lack of quiet spots (the city never sleeps, after all) and culture shock – New York is quite the change of pace if you’ve never experienced it before. Our hometown, sweet home Chicago. 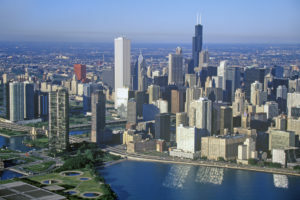 The windy city has the lowest costs of any major city on this list, and it’s also a great town for music lovers, with popular festivals like Lollapalooza, Pitchfork, and many more. It doesn’t come without its downsides though, with a higher crime rate, brutal winters, and high taxes. On the bright side though, if you move here, you can visit us! Is that weird? Sorry, sometimes we come on too strongly. San Francisco is incredibly popular for startups, with numerous companies both large and small claiming it as their headquarters. Unlike most cities in California, SF is actually walkable, and boasts diverse nightlife. The city is getting more expensive by the day though, and it likely won’t get any better. Since San Francisco is an island, we won’t be seeing new real estate developments any time soon. 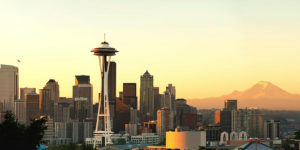 The home of Amazon and Microsoft, Seattle is also where Starbucks got its start. Seattle boasts a great seafood scene, which you can check out at the Pike Place Market. The city is great for outdoorsy types too, with plenty of access to hiking, kayaking, and more. However, some believe that the city is being taken over by Amazon, and the rainy weather might be an adjustment. 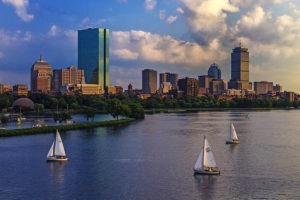 With plenty of American history, Boston has lots to offer, including crazy sports fans and Dunkin’ Donuts on every block (which might be good or bad. If you’re like us it’s bad – we can’t say no to glazed donuts.) The winters are tough though, and you might have a hard time getting around. Boston doesn’t run on a grid system, making navigation a challenge. 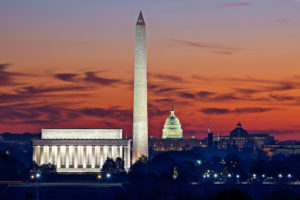 Our nation’s capital, DC is another great option for history lovers. The city also offers a central location to travel to other great cities such as New York and Philadelphia. Taking both the bad with the good, living in DC gives you the chance to witness American politics up close and personal. This can lead to heavy traffic delays though. 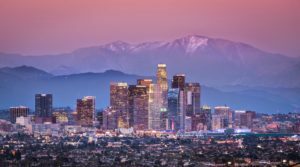 The city of angels gives you quick access to the beach and some of the best food in the country. Let’s not forget the year round warm weather either. Los Angeles locks up during rush hour though, so expect long drives home. You’ll also have to watch out for earthquakes. We used our data to calculate the top 7 US cities for MBAs directly after graduation. These cities are then listed in descending order, with the city with the most data (New York) listed first. One thing to keep in mind is that since Chicago is TransparentCareer’s hometown, we naturally have more data on Chicago MBAs. After finding the top cities, our data was then used to calculate the top functions and industries for MBAs in those cities, using a similar counting method. Our compensation data was also included to account for MBA salaries and compensation. CNN’s cost of living calculator was the main inspiration for this article, and was used to create the index below, along with the various compensations above. New York (Manhattan specifically), as the most expensive city, was the benchmark for all costs such as groceries and housing. This calculator was made in 2015, so San Francisco’s housing market wasn’t nearly as booming as it is today. We used Mental Floss’ article as sort of a balancing act as it is a more recent piece. Where do you want to live? Questions or comments? Reach out. Hungry for more info? We got you covered. Sign up for a freeTransparentCareer account and get access to all of our data for free. Learn about compensation, work/life balance, career satisfaction and more at top companies. Did we mention it’s free? Sign up here.